Overhead Doors, Muskoka, ON | AAA Door Guys Inc.
Our overhead doors will serve your Muskoka, ON home or business well for years to come. Overhead Doors in Muskoka – Overhead doors are an integral part of many homes and businesses in Muskoka, ON. The simplicity, ease of use, and low cost of these doors make them the overwhelming option for openings to garages, loading docks, and other spaces that need protection from the elements. The right door can protect your home or business without fail for many years, especially when installed and maintained correctly. Selecting the correct overhead doors for your needs depends on a number of different factors. 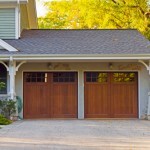 The needs of commercial overhead doors can be vastly different from what a home owner needs for his or her garage. The material that the door is made of can vary widely by manufacturer and by installer. Overhead doors for are most often made out of aluminum, rubber, glass, wood, insulated steel, or non-insulated steel, and some of these can be fire-rated according to your needs, local or national regulations, and your structure. Other components that work to make overhead doors safer for everyone include loop detectors, safety edges, and photo eyes. The right setup will serve your home or business well for years to come. For all of your needs for overhead doors, contact us at AAA Door Guys, Inc. We offer 24-hour overhead door service to our clients in and around Muskoka, ON, and our 25 years in business have proven to our satisfied customers the quality of our work, the reliability of our staff, and the care we take to make sure each job is done right the first time. For help selecting, installing, maintaining, or repairing your overhead doors, let us help you today! 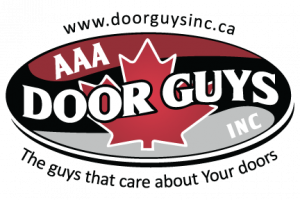 At AAA Door Guys Inc. we offer quality and affordable overhead doors in Muskoka and the surrounding areas including Orillia, Angus, Barrie and throughout Simcoe County!